Chika Nina Unigwe is a Nigerian-born author. She was born in 1974, in Enugu and writes in English and Dutch. 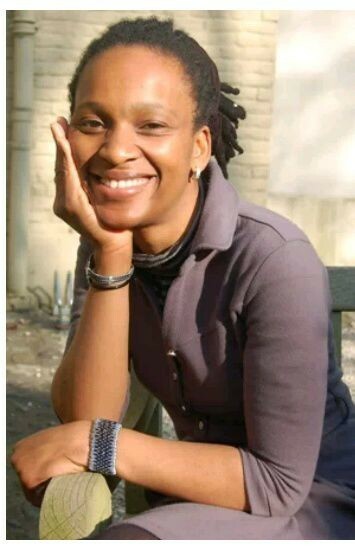 She got selected to be part of Hay Festival’s Africa39 list of 39 Sub-Saharan African writers aged under 40 in April 2014. Black Messiah, a novel about Olaudah Equiano. She lives in the United States with her family. Teen Orbit was so fortunate to have a chat with Chika Unigwe. In this interview, she tells Dhebbie about her childhood and career amongst other things. Question: Please, can you tell us a bit about yourself? Answer: I was born in Enugu, Nigeria. I’m the 6th of 7 children. I left Enugu to go to boarding school (FGGC Bwari, Abuja). I am an alumnus of the University of Nigeria. I have a Masters Degree from the KU Leuven, and a PhD from the University of Leiden, Holland. I am married with 4 children. Question: What is your normal day like? Answer: I wake, help my youngest son get ready for school and write. Question: So, how do you unwind after a hectic day? Answer: I listen to music or read a good book (or do both). Question: And what was growing up like? Answer: I had a beautiful childhood, full of warmth and love. Question: What is your best memory from teenage hood? Answer: Going off to the university. Question: What was the major challenge you faced as a teenager? Answer: Not giving in to peer pressure, being my own person. Question: And how did you overcome the challenge ? Answer: I stayed true to the values I was raised with, and refused to do anything which made me uncomfortable, or which I could not tell my mother about. Question: Who were your mentors as a teenager? Answer: Flora Nwapa, Buchi Emecheta and Chinua Achebe. Question: What inspired you to chose your choice of career? Question: What was the thing you regretted doing as a teenager ? Answer: Going to an all-night party without making sure there was someone to bring me back at the end of it. I never went to another party if I did not have a sure way of getting back to the campus at the end of it. Question: Is there any trend you’ve noticed among teens these days that didn’t exist in your time? Answer: Yes. The Social Media. Teenagers these days are more public about their private lives (thanks to the internet). Question: Who do you admire more than anyone else in your field? Question: What’s your greatest fear? Answer: That I’d go blind and be unable to write (or read). Question: So, what’s the next project you’re working on? Question: What’s the dream you’re committed to making real? Answer: Writing as many books as I can. Question: What do you attribute your success to? Answer: Blessings, luck, opportunities and hardwork. Question: What’s your advice to young people like me? Answer: Coolness isn’t giving in to peer pressure. Coolness is being true to yourself. Question: Is there anything I didn’t ask that you’d like readers to know? Dhebbie: Thanks so much for the interview. I hope that lit up something in you. Be a functional teen/young adult, The world awaits you! You won’t believe who we’ll be interviewing next! Can you guess? ?